Let’s face it– sometimes practicing can get boring. Rehearsing the same songs over and over can at times take the fun out of the music. But you can’t move on to new pieces until you’ve got the basics and the concepts down from what you’re learning now. So what can you do? Creativity can be the key to effective practice. But responsible creativity is of the utmost importance. You can’t begin just creatively playing your music on inverted staves, upside down, while pretending to ride a horse backwards, and then expect to be able to play your piece correctly, whether or not you find doing that musically creative. Instead I would suggest some of the following ideas. First, eliminate your distractions when it’s time to practice. I guarantee Leonardo da Vinci didn’t have his cell phone next to him while he was painting the Mona Lisa,or even friends sitting by chatting and giggling with him. He was probably focused, working, and enjoying the art. Your music practice should be the same way. Take a moment to rid yourself of distractions so you can practice clear and focused, effectively solidifying your practice. Second, Relax. You can’t be very creative musically if you’re uptight, nervous, worried or antsy. Music is a fluid art, ever changing, and very loose (yes, even on those rigid fast paced songs). Just take a second and catch your breath and let yourself prepare to practice. Third, before you start, go over your piece in your head. If it’s voice, clarinet, guitar, piano or piccolo, it doesn’t matter. Take a second and play over the piece mentally, remember your problem spots, review your notes, and set a reasonable goal for how you want your mental music to sound when you begin playing. Fourth, if you’re struggling, play it slower AND play it with a metronome. It may be frustrating, but it works! Once you get something solid slowly, the sooner you can make it solid quickly. But slow and steady is the key. The turtle only beat the rabbit because he kept plugging along and the pace he needed (without giving up). You can also Isolate difficult pieces. Play just one measure, the next, add them together, THEN move to the following measure. Drill the problem spots. It’s a lot easier to prepare a measure than an entire song, so take it piece by piece. If you’re still struggling, take ONE measure and play it backwards (or sing it backwards). It will seem silly, and be quite difficult. Try that a few times, then playing it forward the right way, much of the time will seem very easy. If you’re struggling with a small section, like a jump or phrase, turn that section into a warm up and play it (or sing it) in all sorts of registers! Soon it will just be something you do, instead of something you struggle with. Fifth, make your practice times short and sweet. Yes, long practices are sometimes fun and necessary, but coming up and playing a 5 measure passage every hour can work wonders. If you take just 5 minutes on that passage every hour, you can get an extra 30 minutes of practice in in one day (apart from regular practice), and you won’t feel like you’ve done much at all! Just remember, don’t get frustrated. Practice does NOT make perfect. Practice makes Permanent. Even the best musicians make mistakes sometimes. It’s part of the magic. Music is never the EXACT same twice, and as soon as it is the exact same, it’s because it’s now placid with no real feeling. So, you have great dreams for your child! Maybe you hope that one day they might be a world-famous pianist, or maybe you just want them to be able to enjoy music in a way you have never been able to. Maybe you are musical yourself, and want to pass your greatest joy on to your child, or maybe you never had musical opportunities growing up, and you want your child to be better off. Whatever your reasons, helping your child to develop musical skills, understanding, and appreciation opens doors to whole new worlds. Even if your child won’t be the next Beethoven or Celine Dion, every child deserves the ability to experience the joys of music. While there are many interesting classes and activities available for your child to participate in, the best place to foster musicality in your child is your own home. Of course, this is where your child most consistently spends time, especially when he is young. Even more, this is where your child feels safe and nurtured, so this is the place that will, by far, have this most significant emotional influence on him. As your child’s parent, you are his greatest influence and his most important advocate. From the time your child is born, you can ensure he is surrounded by a positive, constructive, and encouraging atmosphere. How do you create this musical atmosphere? You can start with just a few CD’s or other recordings of music you enjoy listening to. While it’s true that not all music is created equal, and that some types of music can have greater cognitive developmental effects than other types of music, the most important aspect is that your child is surrounded by music from a young age, and witnesses you enjoying the sounds. Play music in the car, while you do the dishes, while your child plays, or during meals. It is important for your child to hear music regularly, but constantly is not necessarily best. Your child should also be able to appreciate silence, and thereby develop greater appreciation for the music when it does play. Taking listening to the next level means discovering new sounds you enjoy. Maybe this just means mixing a little jazz or world music into your playlists, or maybe you can add in some classical! Think you don’t like classical? Think again– there are four different distinct periods of classical music, each with their own unique sounds. Do some research, listening to a variety of different styles (Youtube is a great resource for free music). Find something you like, and then grow out from there. Someday, your child will thank you for helping them to develop diverse taste and appreciation. Listening isn’t everything– give your child opportunities to interact with the music, and to create their own. Supply your child with a few simple, age appropriate musical instruments, such as a bongo drum, xylophone, rattle/maraca, or ukulele. Show your child how to make beats on their own, or tap along with the background sounds you’ve been listening to. The first activity is the most obvious– just sing or tap along to the music you are already listening to! Doing this directs your child’s awareness to the sounds and makes the tunes more than just elevator music. Play “Repeat After Me”! There are so many different ways to play this simple game with your child. Whether you are creating simple patterns on a rhythm instrument and having your child play them after you, or you are singing a line of a song that your child then echos, your child is learning several skills, such as musicality, rhythm, memory, and tones, as well as having a bond-forming interaction with you. If you are musical yourself, an outstanding activity to engage your child is singing or playing scales. Letting your child hear these simple patterns helps them grow an understanding of the building blocks of music and understand on a subconscious level the melodic structures of songs. When your child is old enough, they will happily sing along these addictive patterns. There are many different home music curriculums that help you begin your child’s musical education yourself. Products such as Brillkids “Little Musician” or Calvert School’s “Discoveries in Music” help your child get off to a well-rounded, musical start. Most children love to participate in the engaging activities of songs to sing, rhythms to create, classics to listen to, and scales to understand. Getting into routines can really help your musical efforts have long lasting effect. Children love consistency and the comfort that comes with familiar activities. The occasional musical activity is fun, but doesn’t have nearly the impact that an activity done routinely can. Some examples include: playing music every evening during dinner, greeting your child each morning with a “Goodmorning” song, playing a musical “Repeat After Me” game in the car on the way home from school each day, or doing a lesson from a music curriculum each evening together. Beyond what you do at home, there are many activities and classes available in most communities. If your child is still very young, “Mommy & Baby” music classes are one of the most valuable and bond-forming activities you can do with your child. A good class will expose your child to a variety of genres of music, teach your child a strong sense of rhythm, help your child to understand melodic structure, and provide a solid foundation for developing perfect pitch. If your child is a bit older, there are literally dozens of options for different types of classes your child can participate in. “Music Readiness” classes are similar to the “Mommy & Baby” classes, accept structured for preschoolers or kindergarteners. Piano classes, group music lessons, band and orchestra programs, choral groups, and summer music camps are just a few of the many options available. Social activities are important for many reasons, but two of their primary benefits are community and positive competitive spirit. Children need to interact with each other musically to see the purpose of their studies and experience the joy that musical relationships can bring. Also, without a little competitive spirit, many children are not fully motivated to practice and improve their musicality. If you aren’t already a musical person, never fear! It’s not too late to start. Anyone, at any age, can begin learning about and discovering the joys of music. As your child’s greatest advocate, you are responsible for being an example to them– both in taste and in character. What you like and enjoy, so will your child perceive as good. What you diligently pursue, your child will assess to be of high value. Don’t just dream– do! Do learn, do discover, do enjoy! There is a world out there you’ve barely touched– and it is waiting for you to hear and FEEL it. Claim it as your own, and share it all with your child. Music is one of the most amazing gifts you can ever give. One of the highlights of this school year was the spring recitals held at the Community Life Center at the Salem First Baptist Church on June 12th and 13th. With 45 students participating, our audiences received hours of pleasurable music. Ranging from preschool to adulthood, our varying ages and personalities present many genres of music. Our audience had the pleasure to hear classical selections from composers including Brahms and Mozart, as well as a wide array of popular music. Recitals bring encouragement to students, pleasure for the audience, and joy to the teachers! I have such fun watching the students chose their favorite songs and work over several months to perfect them. Oftentimes I am blown away by how the pressure of an upcoming recital all of a sudden propels students to amazing achievement levels. Family supporters sometimes comment that “I didn’t know she played that well!” Studying the piano can be a lonely activity which is why recitals are such an important component of taking piano lessons. Children are children. Sometimes they’re motivated, sometimes they care more about reading the words on the page and looking at the pictures then playing the music. My role as a teacher many times mimics that of a cheerleader. Recitals make my job a little easier. Students work for months perfecting and perfecting a song they like. While I do let students chose their recital songs, I tend to present to them choices that are bound to challenge their current playing level. I share my excitement over their progress and how it’s going to be so awesome to hear it at the recital. I tell students how the audience is going to be amazed at how well they play. Students are encouraged as their performances display the effort they put in. For obvious reasons, students spend most of the time at the piano without an audience. 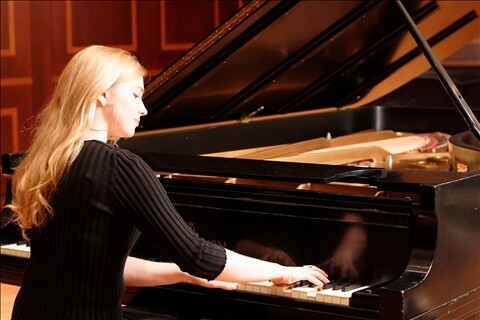 Recitals provide an opportunity for family members and friends to observe and enjoy music. It’s my belief that music doesn’t completely fulfill it’s purpose if it isn’t shared. Instilling this quality in students gives music more meaning and purpose. I won’t deny that I love recitals for selfish reasons as well. I experience the satisfaction of watching the results of my teaching as students perform. I look forward to playing duets with the students and put my heart and soul into making the student sound fantastic! 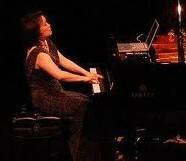 I love interpreting my duet part in a way that matches whatever music happens to be in my heart at the time. The student’s part stays the same; however, my part becomes changing colors that strike unpredictable strings in my heart. It is not enjoyable to do something that you are bad at. It is not fun to be a failure. Struggling is generally not a pleasurable experience. Because of this, the less a student practices piano, the less a student wants to practice piano. If you do not practice, you will not progress. The songs in the books will continue to get more advanced, but your skills will not improve. For this reason, a student who does not practice will find that playing the piano seems to become more and more difficult, even less and less fun. In a sense, they are getting “worse” at piano, because they are more and more behind where they ought to be. More and more they will find that their skills are inadequate to perform as they feel (and their teacher feels) they ought to be able to. What makes playing the piano fun? 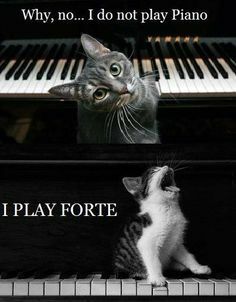 When you are good at it– then playing the piano is fun. It is enjoyable to be talented and skilled. It gives you confidence to know that you are capable. Playing the piano– PRACTICING the piano– is fun when you are good at it. How do you become good at playing the piano? Through consistent practice. This is the only way. You practice the piano, so that you are good at the piano, so that you enjoy practicing the piano, so that you desire to practice more (because it is enjoyable), so that you get even better at playing the piano, and so on. So, you ask, how do you get your child to practice piano? First, you must face reality: at first, most students do not want to practice. There are certainly exceptions to this, but it is much more common that they do not want to practice (because practicing is not yet fun). So you can “remind” you child all day long that they “wanted to practice piano” or that “taking piano lessons was their idea,” that “they wanted to do this,” so “they better practice.” But when it comes right down to it, they actually don’t want to practice. Because practicing is not enjoyable (yet). Humans generally do not want to do things that are not enjoyable. Make Practicing Easier. Learning to play the piano and read music are difficult enough as it is– don’t let it be harder than that. Make sure that the piano teacher is explaining to your child (in a way that your child understands) both what to practice and how to practice. Not just the theory of technique, but the actual execution. More than just the notes to play, how to actually read the notes with accuracy, fluency, and understanding. Make Practicing More Enjoyable. So, it might not actually be FUN (yet– it will be! ), but it can be a lot MORE enjoyable and much less painful. How? It’s more fun if your child knows what is expected of them. It is more fun if your child knows when they will be done, and what they are going to accomplish in their practicing when they sit down. It is more fun if your child has help when they need it (especially if your child isn’t yet a confident reader). It is more fun if your child isn’t LONELY! Take a few minutes out of your day, sit down, and spend some time being supportive of your child’s practice. You don’t have to know a speck about music– you just have to be a friendly ear. You don’t have to try to teach your child yourself (this can often do more harm then good). You just have to support them with your friendly presence. This small thing can make an incredible difference between your child successfully learning to be a passionate and skilled musician or not. Expect Practicing. Make practicing the norm, and make practicing important. No, of course you cannot play video games before you practice piano. Practicing is important, and it is the only way a student will improve and obtain the joy that is playing music. Expect your child to practice. You will not always have to use your authority as a parent in this way, but if your child is not interested in practicing, for a time, you must. Harness the Power of Habit. The most important thing for your child to learn in the beginning is the habit of practicing the piano. Once something is a habit, it is easy. It is easy to remember and it is easy to do. Do you ever forget to eat dinner? Rarely, I’m sure. Do you think about how it is SO MUCH WORK to chew all your food? I doubt this. It is a habit, you are good at it, and it is enjoyable. This is how playing the piano will be. Done as a matter of course, with much pleasure derived. (Only so much more pleasing, with room to grow and advance the beauty of the sounds you create.) Habits form the most easily when they are done at the same time each day and in the same manner. Practice piano every day after breakfast, or every day before bed. Or maybe every day after school, after a snack. The time doesn’t matter so long as it remains constant. Habits are easier the more consistent you are about them. Your child does not need to practice 7 days a week, but most students find that it is easier to practice 7 days a week than it is to practice 5 days a week. It is that simple. Make practicing a little easier and more enjoyable, then use your power as the authority figure to enforce (however you generally do so for chores, etc) consistent practice for the first few weeks. After just a few weeks, your child will have a habit– and one that will serve him well! Your mom didn’t tell you to do your homework because you thought it was fun– but now that you’ve received your college diploma and gotten your dream job, you’re sure glad that she did! Even after your child has the habit of practice, there still might occasionally be days when they need a little extra push. We all have days when we don’t feel like eating our vegetables. Use your intuition. Maybe your child needs a day off. But don’t let “days off” become a habit. A habit of consistent practice will reap great rewards and a lifetime of beautiful music. Be your child’s best advocate and support their future joys. There are several important considerations you want to account for when making your decision, as well as a collection of questions to ask any teacher you are considering hiring. However, before we get into the nitty-gritty, understand what matters MOST. Here it is: You have to like the teacher. If the lessons are for your child, your child has to like the teacher. If the student does not like the teacher, the student will not enjoy playing the piano, and will not appreciate the wisdom of the teacher. The student will not practice as much as they should. The student will NOT be inspired to progress to the heights that they are capable of. You must like the teacher. You must like their personality, you must like their teaching style, you must feel comfortable at their studio, and you must like how they play the piano. What is the piano teacher’s skill level? You don’t have to be a pianist yourself to be able to evaluate whether or not the teacher can play at a high level. ASK the teacher to play a few selections for you. In my 10+ years of teaching, I am absolutely amazed how few times a parent has EVER asked me to play at a trial lesson. I have literally only received this request twice. Twice. Ever. If you are feeling generous, it would be kind to let the teacher know of your request when scheduling the trial lesson, so that they can come prepared with some nice selections. What style do they teach? If you are interested in your child becoming a concert pianist, be sure to select a teacher who is trained in (and teaches) the classical style. If, on the other hand, your child just wants a fun little hobby and has some pop songs they enjoy, please find a teacher with that approach. Everyone will be happier. Many teachers offer a good middle ground of classical theory & technique, mixed up with fun song selections. This is ideal for most “average” students. What is their education? A music degree can be a good starting place, but doesn’t at all guarantee that they are a good teacher, or that they are the right fit. On the other hand, just because someone has “years of experience” doesn’t mean they are doing it right. Choose a teacher who is well trained (whether at a university, through a private music school, or through private teachers and state testing, such as OMTA’s Syllabus), a talented player, and explains things in ways you can understand. Are they a good TEACHER? Aside from the music part, do they teach well? A good teacher is someone who you a) understand, and b) inspires you. You need to understand how to do things, and you need to be motivated to practice so that you can develop those skills. This ties back into choosing a teacher that you LIKE. Choose a teacher with an engaging personality who makes the lessons come alive. A teacher who loves what they are doing will exude that, and spread the love of music to their students as well. Of course, the obvious applies here as well: choose a teacher who is patient and kind, while still strict enough that your child will respect them. Choose a teacher who is organized and efficient with the time at hand. Choose a teacher with a convenient location– if lessons are inconvenient, eventually you’ll probably quit when something else becomes more important. Some teachers will even come to your own home. What could be more convenient than that? Different teachers have different rates, and this depends on their level of experience, demand, and location. Most teachers charge about $20 – $35 for half hour lessons (which is the standard lesson length for beginners). Find a teacher who fits your budget, but don’t sacrifice quality for cost. A year of high quality piano lessons will get you twice as far as a year of inferior lessons that cost a few dollars less. If a teacher can’t provide you will a number of good reference, then look somewhere else. If the teacher is employed by a music school, then you have a great reference right there– the reference of the school! Music schools know that their teacher’s represent them to their students, so they choose their teachers very carefully and fully research their qualifications and other references. I’ll say it one more time– choose a teacher you LIKE! Choose a teacher who motivates you to be great and inspires you to enjoy music. On the hunt for a good piano teacher? Congratulations! You are in pursuit of something of great value. A great piano teacher is a wonderful addition to your life. Piano teachers open the doorway to sounds previously unheard and emotions never felt before. The joys that come with playing the piano for oneself are rivaled by few others. Piano lessons truly are a worthwhile endeavour. Long after dancers cease to dance and swimmers can no more tread water, students– even in old age– continue to derive great pleasure from the making of melodies. So, with that in mind, press on! Find the best piano teacher you can. A great piano teacher can make all the difference between a dreadful piano lesson and a delightful one. 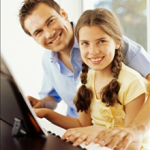 One of the most difficult aspects of finding a GREAT piano teacher is often simply finding any piano teachers at all. Since many piano teachers are “one man shows,” they often aren’t listed in the phonebook, or advertised on billboards. Fortunately, four of the best places to look are conveniently at your finger tips. Perhaps the most common way piano teachers are located is simply by word of mouth. Good piano teachers get talked about! Know someone who plays piano well? Ask them who their teacher is! Another method is a simple internet search engine. Since good piano teachers get talked about, they generally have thriving studios. Many such teachers have a studio website, where their students connect and new students can find out information about the teacher and lesson studio. The third way to find piano teachers can be one of the easiest ways to quickly determine a teacher’s qualifications. Have a music school locally? 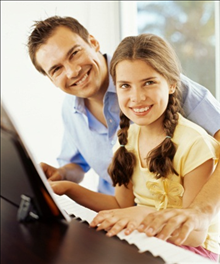 Most music schools employ several qualified piano teachers. Music schools are careful about who they hire (since their teachers are their face to the students). Find a good music school, and you probably have a good piano teacher just waiting for you! A final way to locate piano instructors is through classified ads. These could be in your newspaper, a free ad paper, or through Craigslist or another online listing site. Be careful here, and be sure to check the teacher’s credentials before you sign up– anyone can post a classified ad. Check back soon for future blog posts addressing what questions you should ask potential teachers and how to make the final decision on which teacher to select. Want to get a free lesson with one of our talented and motivating music teachers?! It’s as easy as 1-2-3! 2. Fill out the contact form below. Let us know that you liked us, and tell us when you are interested in coming to our studio (located downtown Salem, OR) for your free lesson. Piano, Guitar, Voice, Violin, and Viola lessons are all available! 3. Hang tight. One of our friendly staff members will contact you within 24hrs to help you schedule your FREE lesson. See you soon! Learning to play a musical instrument doesn’t merely take up the half-hour length of the lesson. There’s obviously practice time involved, as well. In addition, perhaps less obviously, there’s the time preparing for lessons, traveling to and from the lessons, preparing for recitals, and perhaps preparing for competitions or tests. Does that mean that learning an instrument is extremely time intensive and you shouldn’t follow your dreams of being able to express yourself beautifully through music? Of course not! Music is for everyone, and should be able to be enjoyed by everyone. When choosing a music teacher, it’s very important to take into consideration the different time commitments that different instructors will require. Some things that can help to reduce overall time cost are: in-home lessons; shorter lessons; an understanding with the teacher as to how much time you have available for practicing during the week; an understanding about how important recitals, competitions and testing are to you; a teacher who comes to each lesson properly prepared and with a realistic lesson plan. Most teachers advertise a tuition price: either per lesson or per month of lessons. What you should realize is that the full cost of learning the instrument is not generally fully expressed in the tuition price alone. Most teachers charge a registration fee, and many charge for books and materials as additional expenses. On top of that, common fees include: recital fees, testing fees, travel fees for in-home lessons, lost materials fees, fees for missed lessons, fees if you stop taking lessons. Don’t despair though! There are many teachers out there who have simple tuition rates and roll all the other possible expenses into a lower, annual fee. The main point is to take the time to ask about what various expenses you may face throughout the year, so you know what you are getting yourself into before you sign up. To often, parents sign there child up with the first teacher they find, before they even meet the teacher. Reputable instructors will always offer a trial lesson or interview with the student before requiring them to make any commitment. Many teachers will even offer a FREE trial lesson– you just have to look around. Make sure you take the time to make sure you (and your child, if applicable) really get along with the teacher. Just because the teacher is a professional doesn’t necessarily mean they are the best match. Just because a teacher graduated from a prestigious university, or has a master’s in elementary music education doesn’t guarantee that they are good at what they do, or, as above, they are a good match for every student. There’s a lot more to a teacher than where they when to school. You should also consider how there current students enjoy them (check out their ratings online), what their past students have achieved (ask for references from past students), their teaching philosophy, organization, curriculum, passion for teaching, and passion for music. Different goals from yours, that is. If your goals are to learn how to play along with the church choir, you don’t want a teacher who is trying to turn you into a classical solo performer. 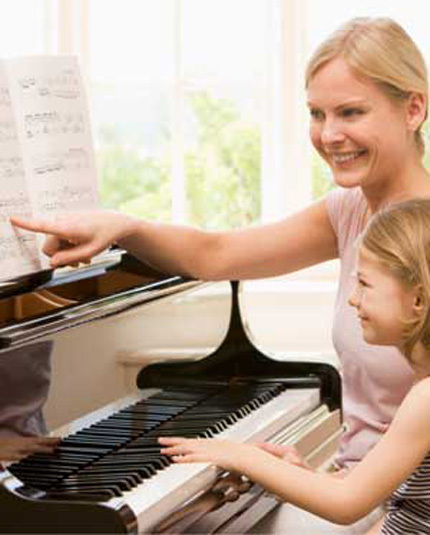 One of the most common disconnects happens when selecting a piano teacher for your child. 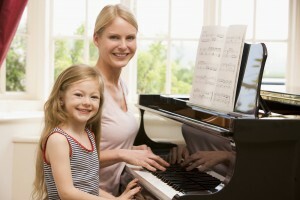 Maybe your child loves music and wants to learn how to play some of his favorite tunes– don’t pick a teacher focused on intensive music theory exams; or, the other way around: maybe your child is a dedicated student who wants to develop excellent skill and become a solo performer– don’t pick a teacher who doesn’t expect her students to consistently practice and excel. When you are evaluating whether or not a teacher is a good fit, consider the learning style they teach to (visual, auditory, kinesthetic), and the learning style of your child. If your child is visual, they’ll do best with an approach that starts out of the book, with written instructions, diagrams, and a focus on reading music right away. On the other hand, auditory learners generally do better starting out with “repeat after me” on the piano (learning by rote) and more verbal explanation. Kinesthetic (hands-on) learners will need to be shown and given a chance to then try out the concepts as they are presented. Passion is great– but make sure it aligns with your own. Some teachers are very focused on just one style (such as classical, blues, children’s music, or contemporary). If their preference is the same as yours that may be fine (although some rounding would be beneficial), but if it differs, you may not get as much out of lessons as you could otherwise. It can be tempting to choose the most popular teacher on the block– after all, they must be doing it right if they are so liked! Choosing a teacher with high-demand is actually a good strategy (recommendations or reviews are generally the best way to find a good teacher, after all). However, you don’t want to choose a teacher who’s taking on more students then they can comfortably handle. Teachers with too many students can’t devote the full attention that each student deserves, don’t have time for responsible amounts of lesson planning during the week, and can be stressed out or short tempered. Look for a teacher who has a thriving studio but knows where to set personal boundaries on her time. What are the teacher’s passions and priorities? When you are interviewing potential piano teachers, two of the most important qualities you can asses are the teacher’s level of passion for the music and their level of commitment to their students. Students (even you!) are very impressionable, and enthusiasm is contagious. If your teacher loves music, considers practicing a priority, and expects her students to succeed, then– they will! 1. Choosing a teacher you (or your child) doesn’t like! Music should be enjoyable! Piano lessons should be too. 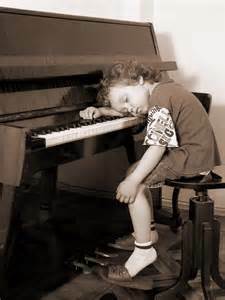 Too many adults tell stories of nightmare piano teachers who took all the joy out of learning. Expecting students to take their practicing seriously and complete their weekly assignments is one thing– being mean, sour, or boring is quite another! A piano teacher is an example to each of her students. If the student likes the teacher as a person, then they will follow the teacher’s example. If you choose a teacher who is likable (nice!) and is a passionate and skilled musician, you really can’t go wrong! All teachers have certain pet peeves that drive them nuts! One of mine is poor rhythm. All too many times, students try to slide by with mastering the note names of a song while relying on intuition for the correct rhythm. Between difficult technical passages and the ear’s ability to conveniently delete pauses in the brain, intuition frequently fails. A large component of being able to recognize a 5-year olds rendition of “Jesus Loves Me!” or “Scooby Doo” is how well the rhythm has been represented. Because of the developmental stage young students are in, rhythm is difficult to conquer. Strategies I use are playing the rhythm on fun, portable musical instruments, telling students to count while they play, and having students point and count while I play. Those that know me well call my purse a “Mary Poppins Purse.” Within its bulging seams are lots of things that might be found useful in random circumstances. Yes, I have the usual chapstick, lotion, calendar; however, I also have things like “conversation starter cards,” a pitchpipe, things for entertaining small children, etc. My philosophy of “I never want to be somewhere where I wish I had something I didn’t” carries over into my work life as well. My piano bag carries, well, let’s just say a lot. One of my student’s favorite treasures is my musical instruments–my maracas, bells, and clapper. My students enjoy shaking or clicking a song’s rhythm. The gross motor skill it takes to use the instruments is easier and less complex than keeping track of 10 fingers on specific keys on the piano. It stretches the attention span of a fidgety 5-year old. Speaking of attention spans, anybody’s brain can experience exhaustion or intimidation at the complicated task of playing and counting at the same time. My students heads tend to drop when I mention counting out-loud. This head-drop reminds me of the importance of keeping positive and being an encourager. While keeping a close eye on frustration and concentration levels, I begin pointing and counting for them, count while they play and count, count while they play, etc. It’s a necessary evil and my students that employ it well, just plain play better. However, sometimes a student needs some additional help to internalize the rhythm. It’s for these occasions that I say “you point and count while I play.” Here students can apply the mathematics of counting to what the ear is experiencing. It also helps dissipate the mounting tension I can feel when I begin my rhythm rampage. Oh, and not to forget the huge praise sessions and high-fiving that goes on when my students master rhythm challenges! It is oh, so important to let students know when they’ve done something awesome! Students were sent home with a worksheet to reinforce the concepts taught. Good work students! For the next several months, piano students will have private lessons for the entire month as students will be focusing on perfecting songs for the June recital.